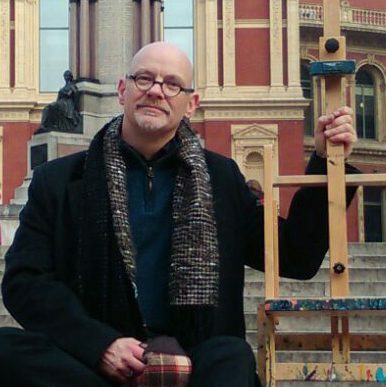 In 2015, Sarah McIntyre and James Mayhew got together on Twitter to think up a hashtag for this campaign. Their mission was to get illustrators credited for their work. They started with the Carnegie Medal, urging its committee to include illustrators’ names in their award list, since writers were included in the list for the accompanying Greenaway Medal for illustration. Led by librarian Joy Court, the committee took the criticism graciously and included the illustrators’ names. The next step was pointing out to The Bookseller trade magazine that they had published a large picture book feature on ‘We’re Going on a Bear Hunt’ with no mention of its illustrator, Helen Oxenbury. Through discussions, The Bookseller apologised and its journalists became much more attentive to including illustrators, in their article and in their sales charts, and are now a growing force for promoting UK illustration. 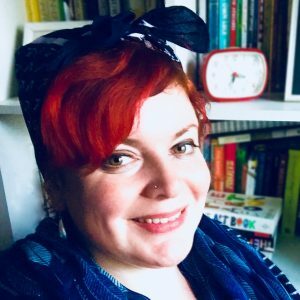 Nicola Solomon from the Society of Authors, on her regular rounds of publishers, encourages publishers to credit illustrators by showing them how they can benefit. Since the campaign’s launch, the team have experienced genuine positivity from publishers and seen progress: more illustrators mentioned on the front covers of books, artists credited when cover artwork is revealed for the first time, and reviewers including illustrators credits in reviews. Sarah’s agent and ally, Jodie Hodges, has mentioned to her that the phrase ‘Pictures Mean Business’ is useful shorthand at meetings because publishers understand immediately what she means and the arguments behind it. 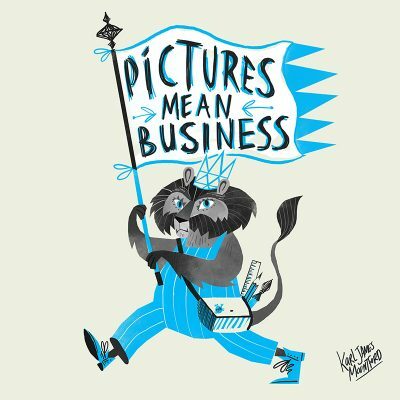 Professional illustrators ARE business people, and we’re standing up to be recognised as people who contribute to books and bring money to the economy. "Translators and illustrators are fighting side by side because of the way our work plays a vital role in a reader's experience of a book. We usually work freelance and like any business, our names become our brands, what people come to respect and look out for. But they can only do this if they know our names. We want to see our names included in award lists, on book covers, in digital book data, in the media, anywhere people are writing or talking about our books. " 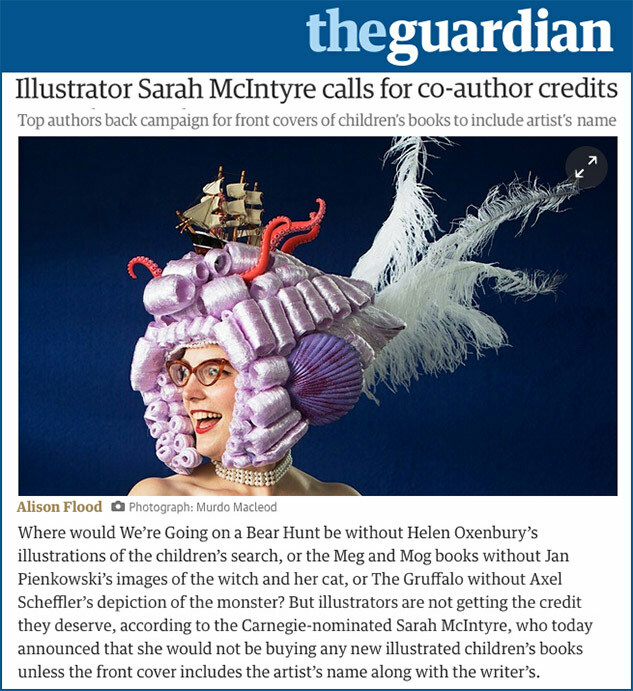 "Illustrators are significantly disadvantaged by quirks in the publishing world. EVERYONE in the industry would benefit if this was properly addressed! 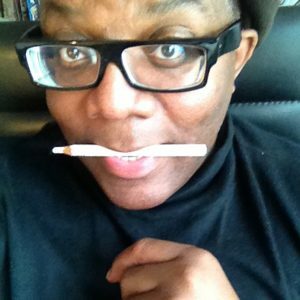 Do you think it's unfair that illustrators are often ignored and not mentioned in reviews, lists and media? It has to stop. 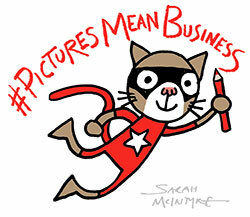 Please support #PicturesMeanBusiness"
"I'd been following #PicturesMeanBusiness on twitter for a while, so when Sarah McIntyre put out a call for further help I thought, if I can help, I will. There are so many positives to giving mutual credit where it is due. The book industry is a great community and by fully including illustrators it will get stronger"
"It has always seemed bizarre to me that illustrators barely get the credit they deserve for their work - the clue to what makes a picture book special is in the name, right?! Nobody should be scared to ask for their names to appear on books they have drawn and it’s the least publishers should do. As a new member of the Society of Authors Management Committee, I look forward to representing the concerns of illustrators to the union that represents us to publishers and to the media. Feel free to DM me on twitter if you have issues you’d like to raise at the SoA."